Audiobook sales continue to be on fire, far outpacing eBook sales, the next fastest growing format according to the American Association of Publishers as reported by The Digital Reader. But the complexity! Uploading a Word doc to KDP is like child’s play compared to producing a quality audiobook. That’s where advanced planning can help and Annette Leach shares crucial insights to help you understand the process and key decisions. My own love for audiobooks motivated me. In the past three years, I’ve picked up many more audiobooks than print books. As an author, publisher and entrepreneur, it’s become harder to find time to sit down and read. Reading requires one directional, sedentary dedication and focus. Listening to audiobooks allowed me to keep up with my reading while doing household chores like cooking or cleaning, during long commutes, or while exercising. As much as I love to read books I didn’t feel like I lost any nuances or meaning by listening, especially if the narrator was engaging. I suspected other people felt the same. The digital revolution may have dealt a heavy blow to print, but it is boosting literacy in other unexpected ways by fueling the explosive growth of audio books. Digital innovation isn't just changing the way audio books are created, packaged and sold. It's starting to reshape the way readers consume literature, creating a new breed of literary omnivores who see narrated books and text as interchangeable. Today’s avid fiction readers prefer two formats – eBooks and audiobooks. Having Song of the Shaman available to the largest audience possible was always part of my publishing plan. Multiple book formats show a high level of commitment to your work. For an indie author, it can help open doors, break through the clutter, and gain more exposure. Audiobook samples are a strong promotional tool, too. They are easy to email and to place on websites for download or streaming. Samples are great for generating social media buzz. And they are also a smart way to toot your horn to the publishing industry. I’m sure the first question that comes to mind for my readers is cost. Was budget an issue? If you don’t mind me asking, what were the costs? I set aside a special budget and crowd-funded part of the audiobook production costs. When Song of the Shaman was released in print and digital editions in August 2013 I planned for a year to raise the money, audition talent and record the audiobook. With over 45 four and five star-reviews on Amazon and Goodreads, the novel was gaining momentum, so when my crowd-funding campaign started the positive book reviews gave supporters a good incentive to contribute. The campaign raised a third of the budget needed; the rest I paid for on my own. If you hired an editor, book cover designer, and interior book designer, you know what it takes to produce a quality print book. A professionally recorded audiobook is no different. It can cost just as much or more. Some authors will be tempted to spend the money buying audio equipment and setting up a home studio to personally narrate, edit and master the audiobook. Don’t do this. There is a noticeable difference between DIY studios and a professional studio. Audio recording is a highly skilled, labor-intensive job and your time is better spent writing your next book. What’s more, buyers will judge the quality of your audiobook the same way they judge the quality of your print book. It’s harder to listen to a poorly produced audiobook. The narrator’s voice, the clarity of the recording, the pace – all contribute to the listener’s enjoyment. After the first 60 minutes, if any of the above becomes an issue the listener is apt to toss your book, or worse, leave a one or two-star review. Audible.com lets customers post starred ratings in three categories – Overall, Story, and Performance – in addition to adding a written review. 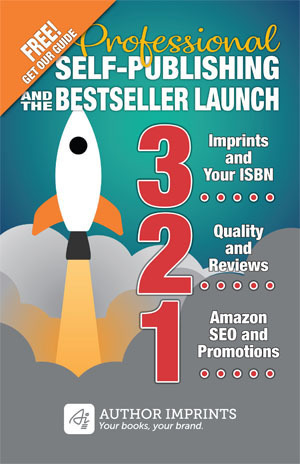 Like your print or eBook, you want to aim for five star-ratings in all categories. So…how much did it cost? Total hours: 45 hours at $30/hour = $1350 Total cost. By using a small local studio and narrating the book myself, I saved on the average ACX.com production costs that could have amounted to more than double what I paid. On a related note, what were the steps you took to produce your audiobook? Who helped you, and how did you prepare? How long did it take? After I posted my job and budget on ACX and listened to the auditions that came in, I didn’t feel comfortable handing over my project to a voice actor to record without me being in the studio to direct them. There’s a very diverse set of characters in Song of the Shaman. I was concerned that the narrator might not depict them the way I would like, and I’d be stuck with their performance or would have to ask for a re-recording. In a past life as an advertising copywriter I wrote hundreds of radio commercials, so I’m familiar with the importance of auditioning and finding the right voice actor talent. That’s what got me thinking about narrating the book myself. I looked up authors who recorded their own work – Toni Morrison, Neil Gaiman, Elizabeth Gilbert. Barbara Kingsolver and Frank McCourt. David Sedaris. I read debates on whether audiobook fans preferred author narrators or voice actors. There was enough evidence for me to take the plunge. Before my novel was published I had done many book readings in New York City and felt up to the challenge. Though I was comfortable narrating my novel, I knew the limits of my voice. I had to work on my stamina to keep the performance up over several recording hours. A good engineer helps by following closely as you read. They will promptly stop you to re-record any errors. I worked with Mike Hurst who runs a small recording studio in Brooklyn. Mike was excellent. He stayed focused on every aspect of the project and suggested I prepare by closely reviewing chapters the night before I went into the studio. I highlighted scenes, mood and character changes, any difficult pronunciations, dialects, and I practiced lines. I did voice exercises to open up my vocal chords, clear my head and help build endurance. I took 10-minute breaks every hour, drank a lot of hot tea with lemon, stretched, and kept a sense of humor when I got totally tongue-tied, which happened more often than not! I understand that publishers can produce an audiobook inexpensively by sharing royalties with the narrator and/or producer. Did you consider this? With my limited budget, the first thing I looked into was sharing royalties. A narrator who would record, produce, and deliver the finished audiobook for free in exchange for half the royalties of each sale seemed like a great deal. But for most narrators, working on a debut, self-published book with an unknown sales track record seemed too great of a risk. The flat 40% royalty from Amazon (it used to be 50%-90%) meant it could take a very long time to recoup their investment. As a result, the voice actors I liked (pricy, seasoned pros) wanted to be paid their regular rate for the job – ranging from $200 to $350 per finished hour. That meant $2800 for my book. Even then, the auditions I received were not amazing. I knew I would have to either work on getting the narrator to deliver my characters accurately or just settle for their interpretation. After nine weeks of ACX auditions, I decided to take control of the project by finding a studio to self-narrate my book. I know you decided to narrate your own book. Some authors are terrified of this. What did you learn? Who should, or shouldn’t do their own narration? What advice do you have for authors that want to do their own narration? A triathlon is nothing compared to reading a 258 page story out loud, complete with over fifteen different characters in English and Spanish and scenes that go from the present day streets of New York City to shamanic rituals in the rainforests of 19th century Panama and Costa Rica. In four days. But I am living proof it can be done and done professionally well. My audiobook even met the strict specs of Amazon’s Whispersync feature, where Kindle readers can switch between reading and listening to the audiobook at the exact sentence where they left off. That means as the narrator you can’t skip one word on the page or your audiobook won’t sync with your Kindle book. If you can cultivate superhero vision (and hire a very attentive audio engineer) this project is for you! Do you have a strong accent that could distract the listener or undermine your story? Can you record your book in consecutive days? If not there’s the chance of sections sounding different, even if you record in the same studio. Have you read excerpts of your book at live events? If not you should practice reading out loud for a while before you book studio time. Get comfortable with voicing your story. Do a test recording on your cell phone to get an idea of how you’ll sound – the majority of audiobooks are listened to on cell phones and tablets. Do you have a budget? You’ll need to cover costs for a local studio and engineer who will edit and master the final audiobook. Compare at least three estimates. Can you find local voice actors if you don’t want to self-narrate? Consider looking for a theater troupe or a college with acting courses and place an ad for auditions. You might find a budding actor who can do the job for you at a much-reduced rate. So should you narrate your book? I’ve seen book lovers flock to hear their favorite authors read at book events. By narrating your book readers get to spend intimate time with you and your story. You give them the pleasure of getting to know you better. And that’s a good thing for indie authors. Just realize that narrating is performance. It’s demanding, time-consuming work that can also be a lot of fun. In the end, you will feel a great sense of accomplishment. Best of all, once the audiobook is finished – like your print and digital book – you’ll have it forever. Annette Vendryes Leach is a writing coach and provides author publishing services through MindPress Media, a company she started in 2013. Her novel, Song of the Shaman, is available in paperback, eBook, and audiobook formats. Annette began her career as a copywriter for an ad agency. For years, she wrote magazine, radio, and TV ads for everything from soda to the CIA. She also founded the Black Literary Club, a direct mail book club devoted to African-American, African and Caribbean literature. A graduate of The New School, Annette majored in Creative Writing and Comparative Religion. She lives in Brooklyn, NY with her husband and two sons. Please visit annetteleach.com and mindpressmedia.com. Interested in getting a free audiobook edition of Annette's Song of the Shaman? She has a limited number available for AuthorImprints readers, first come, first served. Click here to email Annette.